South Australia has beat strong competition from other states to secure the right to host our space headquarters. The state even enlisted NASA astronaut Andy Thomas to help with its campaign. The space agency will be based at the former Royal Adelaide Hospital site now known as Lot Fourteen. Prime Minister Scott Morrison says South Australia is the perfect home for the new agency as it is already a key hub for the space and technology industry. 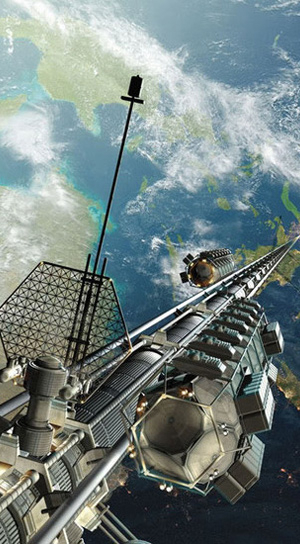 “Australia's space industry is set to hit new heights,” Mr Morrison said. “This agency is going to open doors for local businesses and Australian access to the $US345 billion global space industry. The agency is expected to create a range of long-term, high-wage, high-skilled jobs. SA Premier Steven Marshall said the state's defence sectors would benefit greatly. Adelaide is already home to several space start-ups like Fleet Space Technologies, which plans to develop and launch hundreds of tiny satellites, and nano-satellite company Myriota. Federal Minister for Industry, Science and Technology Karen Andrews said she expects the state will see a high-tech jobs boom. “Nothing inspires people like space does,” she said.